56 year old Robert Orr knows all about life’s curved balls. The Glasgow native who has lived in Connemara for the past 14 years went blind in 2012 as a result of Glaucoma. He got no real warning. “Well I was having headaches for a short time but nothing really serious, I put it down to tiredness really. When I did go for tests, I was diagnosed with Glaucoma and the loss of my sight was rapid. Glaucoma is known as the ‘Thief in the Night’ and it certainly was for me”. “I went into shock when my sight went, I just couldn’t believe it, I had no idea how I would cope and the fear was unreal. It was a massive upheaval in my life. I was in the house for a year and I just couldn’t get to grips with my situation at all”. However Robert says that his life changed for the better once the National Council for the Blind of Ireland, NCBI, came into the frame. “The Hospital put me in touch with the NCBI and for the first time since my sight went, I felt hope. I got huge support and care and I am in a much better place now, there is no comparison”. “I got counselling which was vital to me as I was very depressed. When I spoke to Jane Baird, one of NCBI’s excellent Counsellors, I had the freedom to speak openly about my feelings, what I was going through and all this helped enormously. It was a safe space for me to share and Jane helped with me with lots of relaxation techniques and hints and tips to get through the ‘down days’. The next step on my new journey was meeting Deirdre Towey, one of the Community Resource Workers with the NCBI; only for her I would still be housebound. She showed me how to use the long cane and other mobility skills and I now have the confidence to leave my house for instance and get the bus into Galway city. This is a massive step for me and has opened my world. I have been doing a bit of gardening as well and I love it. I have made great friends through NCBI and it is so important to be able to speak to others in the same boat as myself. I feel connected and supported”. Robert has also been participating in the technology training courses organised by the NCBI. 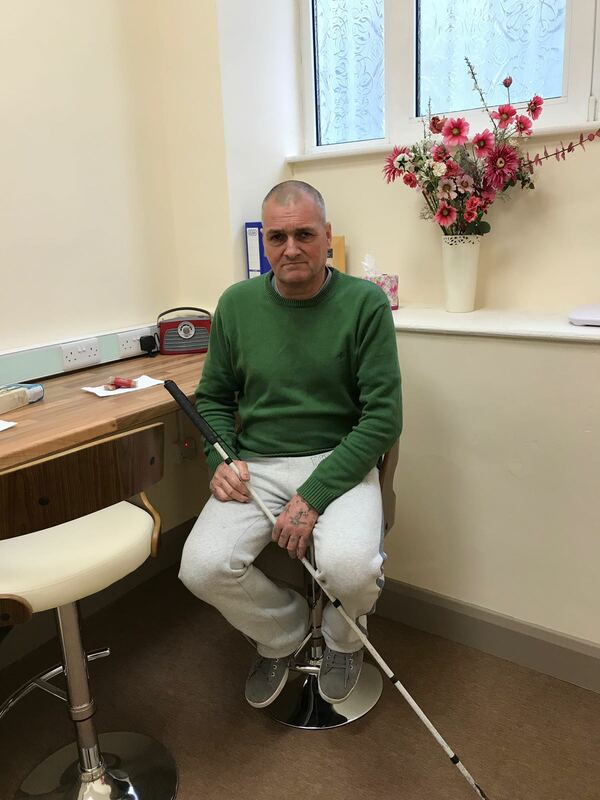 “I was never hugely into technology but I am learning as I know it is so important for people with sight loss. It really enables us to do so much. I find it very interesting. The NCBI trainers are so accommodating and approachable so it is proving to be a very enjoyable experience. Thanks to the NCBI I am now optimistic about the future”.